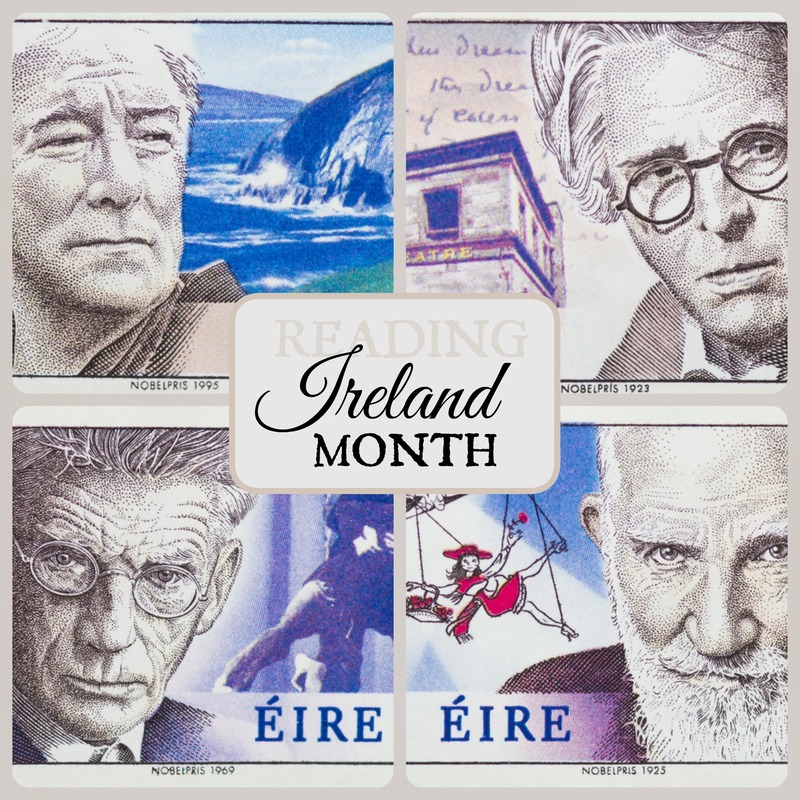 The next movie I watched as part of the Reading Ireland Month, hosted by Cathy746books and The Fluff Is Raging, is also a movie I was pretty reluctant to watch – Calvary. I am not very much into religious movies or movies generally dealing with religious themes (thus my initial reservation to watch Calvary), but I never expected this movie to be what it actually was. It is quite hard to place my thoughts on it, since it not only exceeded my expectations, but it also is a much deeper and much more symbolic movie than one might expect. Calvary begins in the most unexpected manner; while in a confessional, a parishioner relates his tragic past to priest James, confiding in him that he had been sexually abused by some priest in his childhood and threatens to kill priest James as an act of revenge towards the church, even though he is innocent and benevolent. The parishioner gives the priest exactly one week to make peace with himself and say his goodbyes until he kills him on the appointed day and place. This is what happens in the first 5 minutes of the movie, which place the priest, as well as the audience in such an unexpected and difficult situation. The rest of the movie follows the priest’s life through each and every day of the week he was given and we watch his actions and the decisions he makes. We steadily learn more about him and his past and meet the people that consist his world and surroundings – Fiona, his daughter, as well as a bunch of parishioners, all broken and lost in some way or another, whom he tries to help overcome their problems one by one. However, the priest is not always treated generously by the others. At first, I found his passive acceptance of the threat he received really strange – it was almost like he thought he was at fault for something, like he somehow deserved it. Maybe he had committed a sinful act in the past and desired to repent for it by not running away from the man who declared that he would take his life away. While the movie progressed, though, the benevolence and the good-natured heart of the priest became evident and the behaviour of the parishioners towards him became more and more illogical. Everyone makes mistakes throughout life, either minor or graver ones, and we do see the priest misbehaving at parts, but no one deserves to be the object of such spite. Every character in this movie has their story and their own painful past (or present). Everyone is going through their own personal calvary, but the priest seems to suffer the most. The ending is surely one that triggers a lot of thoughts to rush through your mind all at once. The priest claimed at the beginning that he knew who his threatener was, and he did try, in his own way, to prevent him from commiting yet another sin. I am not entirely sure of the exact location this movie was shot and set into, but the scenery was absolutely stunning. The Irish coast lines always look so beautiful, and combined with a rather cloudy weather, created the perfect ominous feeling in this movie. The setting was mostly simple, and not many props or background objects were used, with nature and the sea playing a major role and reflecting the pain and the psychological state of the characters in the most excellent manner. The acting was also sublime. Brendan Gleeson was simply brilliant as priest James – I will certainly watch more of his movies to see him enacting other roles as well (I’m sure he does it equally successfully). I was very glad to see some familiar faces in it, like Aidan Gillen, whom I know from Game of Thrones, playing the role of an atheist doctor and Dylan Moran, whom I immensely adore, playing the role of a lonely millionaire who feels detached from everything. The rest of the cast was fabulous as well. All in all, Calvary is a beautiful and brilliant movie that touches upon many issues modern societies and people face, whether they dare to admit it or not. It is a movie that shows you that everyone goes through their own personal calvary, even if you cannot see it at first glance. Everyone has their own troubles and demons to fight and, at the end of the day, it is the way we choose to face them or run away from them that determines our morality and quality of life. Last Wednesday I went to the cinema with a friend in order to celebrate the end of our exam period and we decided to watch ‘The Imitation Game’. One of the main reasons I wanted to watch this movie was, of course, Benedict Cumberbatch (who was utterly brilliant in this) but the entire movie itself proved to be a masterpiece as well. ‘The Imitation Game’ is set during the World War II and it centers around the attempts of Great Britain and the Allies to break the mysterious code which the Nazis used to communicate and transfer important messages and information among them, called the ‘Enigma’. 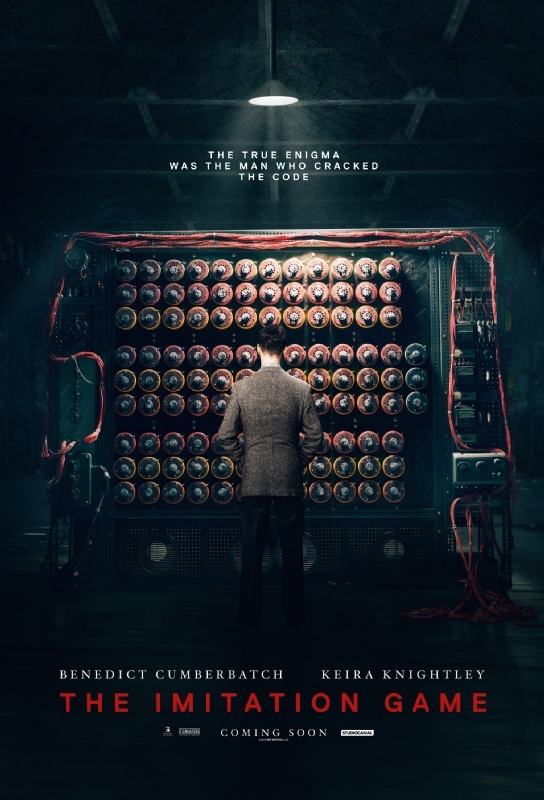 This impossible-looking project is assigned to a mathematician, Alan Turing (played by Cumberbatch), who is a genius in his field, as well as in solving puzzles and decoding various secret messages. The story alternates between past and present narratives, and so we have a more kaleidoscopic perspective of the events unfolding throughout the movie. The present narrative is set some years after the war and the entire Enigma project is presented as a narrated flashback. We also get to see some moments from Alan Turing’s early adolescent years, which aids considerably in gaining a better understanding of his character and how he came to be the person he was. I don’t want to let out too much information on the film, as even the pettiest detail could take away the full enjoyment of this film, but I strongly recommend everyone to watch it. Apart from the main plot, this movie deals with a plethora of other (mostly social) issues, and it allows you to observe and contemplate how people in these years handled them, as some of them are quite shocking and rather disturbing. The acting was exquisite and I could find no actor participating in the film that this wouldn’t apply to. Benedict Cumberbact was simply excellent in his role and his portrayal of Alan Turing certainly leaves you a long lasting impression. Keira Knightly was also brilliant in her role as Joan Clarke, the only woman participating in the project, as well as pretty much all the rest of the cast. The photography, the soundtrack and the ambience created were marvelous as well, as they captured the general environment and atmosphere of the era in the most brilliant way possible. Since this movie is based on true events, the ending is, to say the least, realistic and greatly touching. It definitely is a thought-provoking movie, that has me thinking about it days after watching it. If you haven’t done so yet, I would highly recommend you to watch this movie. 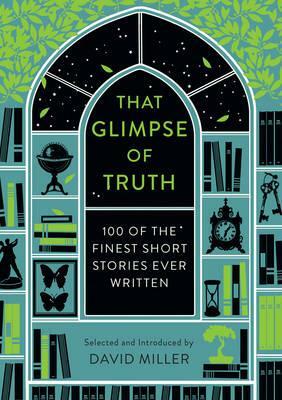 The tales within Head of Zeus’ That Glimpse of Truth: 100 of the Finest Short Stories Ever Written have been selected and introduced by David Miller. The book’s blurb states, ‘Profound, lyrical, shocking, wise: the short story is capable of almost anything’, and goes on to describe the way in which the stories range ‘from the essential to the unexpected, the traditional to the surreal… Here are childhood favourites and neglected masters, twenty-first century wits and national treasures, Man Booker Prize winners and Nobel Laureates’. In his witty introduction, in which he leads an informed discussion about the power of the short story, Miller writes of the Herculean task of selecting the one hundred best tales ever written: ‘I’ve tried to remain dispassionate, searching for the finest, ending up being wholly and, I’d argue, usefully passionate. I have spent weeks, then months, quarrelling with myself (and others) and, now there is a result, some will complain I’ve not included a or y, or h or z or given due attention to the burgeoning literary genre or scene in delete as appropriate‘. He goes on to say that ‘… as a short story is already a distillation, it gives the writer a far harder task to achieve everything, not just any thing. Every thing in this book is as good as it can get’. So many wonderful authors have been included in this anthology; just glancing at the full list on the back of the book before I began to read, I picked out Virginia Woolf, Anton Chekhov, Roald Dahl, William Maxwell, Ian McEwan and Flannery O’Connor. The range of contributors is diverse, particularly when one takes into account the wealth of original languages in which the tales were originally penned. Primarily, those in That Glimpse of Truth are English, but there are stories translated from Danish, Yiddish and Vietnamese to name but three. The stories have been ordered by the chronological date of birth of each author as, says Miller, ‘that seemed easiest’. It is as good a way as any to organise a collection of tales, and there is consequently a marvellous progression from beginning to end. The book’s title has been taken from a quote by Joseph Conrad, on why he chose to write within the short story form: ‘My task which I am trying to achieve is, by the power of the written word, to make you hear, to make you feel… and, perhaps, also that glimpse of truth for which you have forgotten to ask’. That Glimpse of Truth begins with a story from ‘The Book of Jonah’, and encompasses, among others, the Brothers Grimm, Nikolai Gogol, Charles Dickens, Rudyard Kipling, Stefan Zweig, Edith Pearlman and Lorrie Moore. The format of the book makes it a perfect volume from which to read one or two stories per day. So many themes, perspectives, characters and emotions have been encompassed. There are stories within stories, and also those which ask wider questions. That Glimpse of Truth has been beautifully designed. The book itself is lovely; a red hardback with a nicely designed dustjacket and ribbon bookmarks. The only drawback is that there are rather a lot of mistakes within the majority of the stories, and it is a real shame that it was not better edited. Regardless, at over 900 pages, That Glimpse of Truth is sure to keep readers amused over the entire festive season. It is a marvellous collection, and has been thoughtfully put together, so much so that it is an absolute delight to read. “There is my little trembling star,” she said. Absalon, my son, that I could have died for you, my son. There I will carry my child. Rocked in the cradle of Tuoni. Rocked in a cradle of gold. Far from the treacherous world.